The shooting of NTR, Nandamuri Balakrishna’s much-awaited biopic on his father and legendary actor-politician NT Ramarao, took place for a couple of days in December last week. 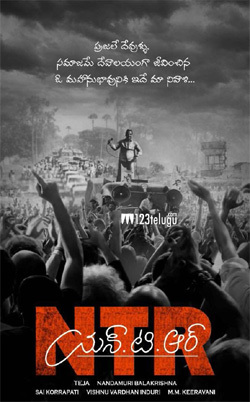 A special teaser, which was supposed to be out on NTR’s death anniversary on January 18, was postponed indefinitely. As per the latest updates, the Nandamuri family members had requested Balakrishna to rethink his decision of releasing the teaser on their father’s death anniversary, which is not a happy occasion. Balakrishna immediately obliged his brothers and sisters’ request and postponed the teaser’s release. This highly-anticipated biopic is being bankrolled by Balakrishna, Sai Korrapati and Vishnu Induri. The regular shooting will kick-start from August. Stay tuned for further updates.